… Or Merry Christmas, if you are speaking with my husband. Adam looks forward to this day all year long. With harvest picking up, Sunday’s are his only day to relax and not worry (…too much) about work. 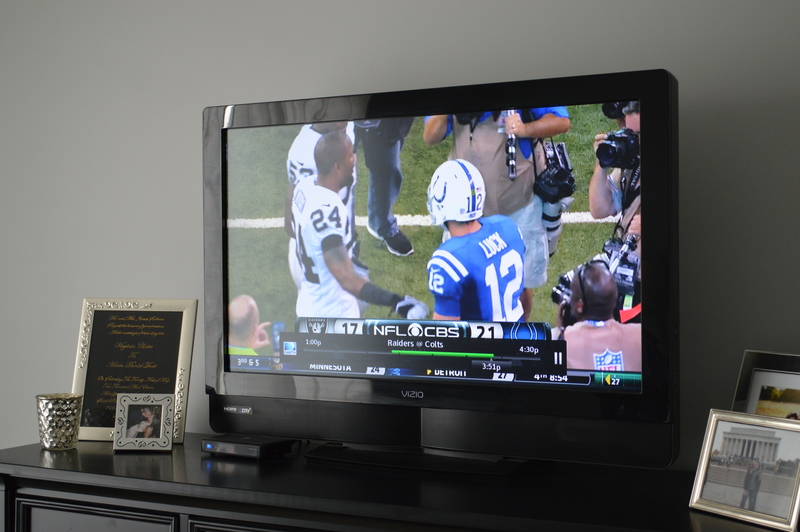 Adam and I have established a little bit of a tradition for early Sunday afternoon football games that date back to my first apartment in Indianapolis. It’s fabulous. We take our time waking up, make brunch, throw something in the crock pot for an early dinner after the game, all while drinking Bloody Mary’s. 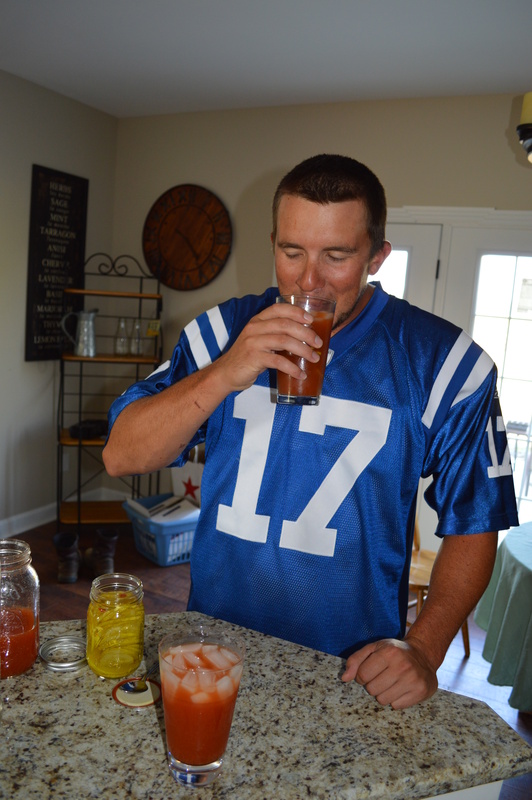 Adam has spent the last few years trying to perfect the Bloody Mary. 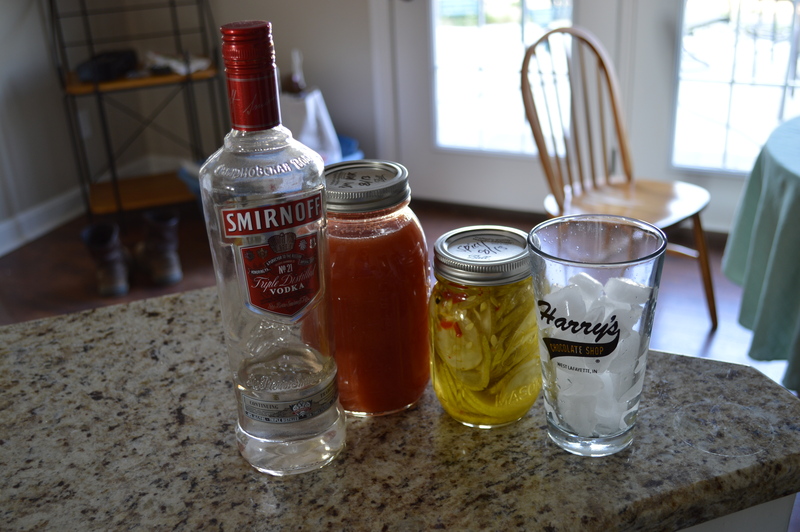 Ingredients have included everything from Pepper and Bacon vodka, pickle juice, horseradish, Worcestershire sauce, pickled okra, bacon and many others. 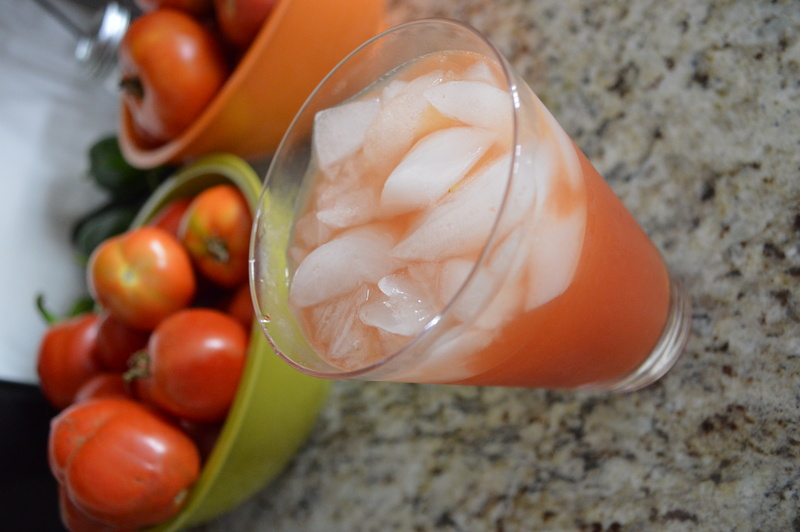 Adam’s grandmother recently shared her recipe for tomato juice with me after seeing how tomatoes were taking over my counter tops. 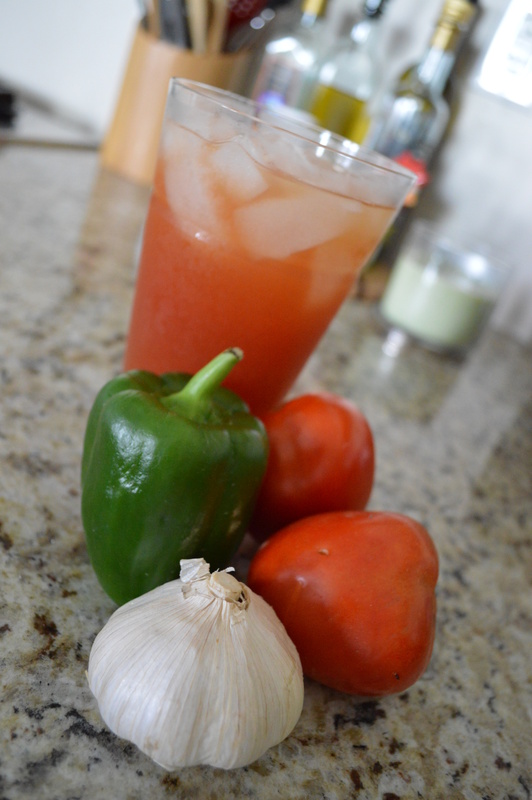 While reading through the ingredients, I thought how it would make a great Bloody Mary base. 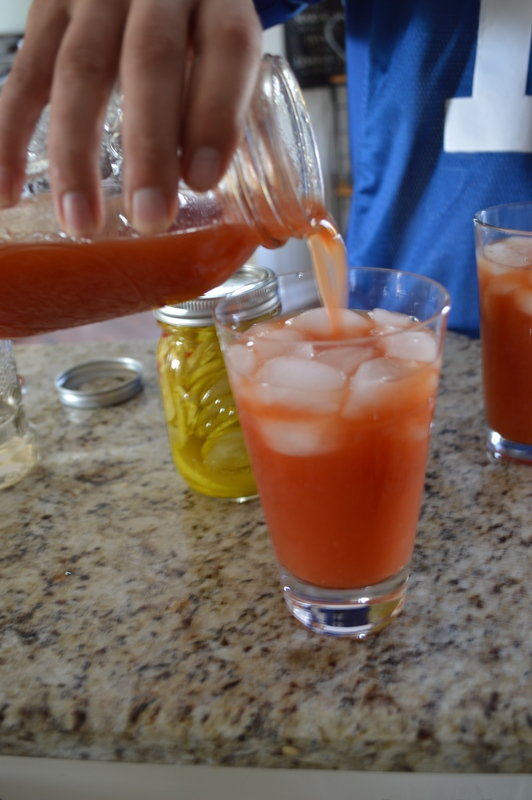 When I shared this with Adam, his passion for the perfect Bloody Mary came to life and he instantly got to work canning his own Bloody Mary mix. Heat tomatoes in boiling water for about three minutes. Place immediately into ice water bath. Core, skin and cut tomatoes into wedges. Add all ingredients, including blanched tomatoes, to a large stock pot. Cook over medium heat. Simmer for 40 minutes, stirring occasionally. 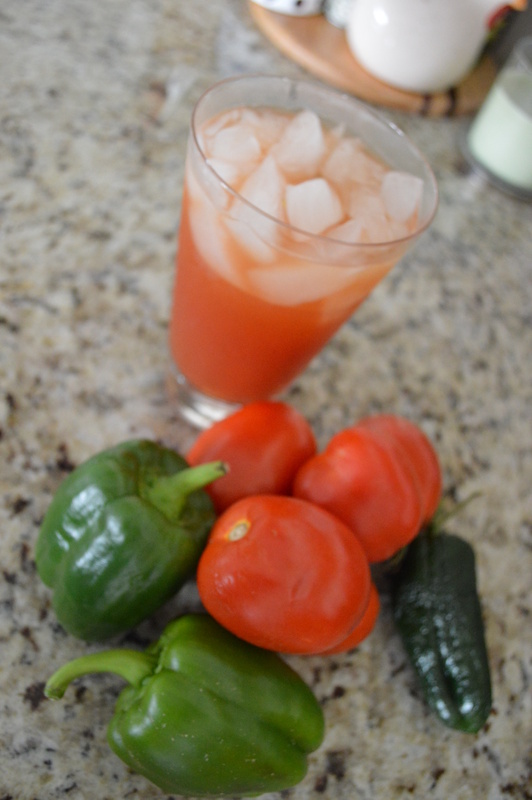 Vegetables should cook down and turn to juice. Strain (we used a mesh strainer), pushing out as much juice as possible. 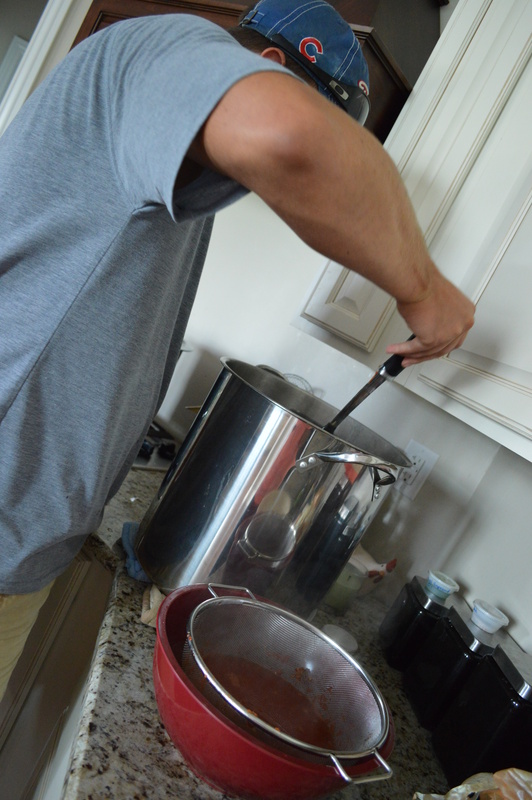 After straining, return juice to the pot and bring strained tomato juice to a boil. Process in boiling water bath with a half inch of water over the top of the sealed jar for forty minutes. Remove from water bath and place on cooling rack for at least four hours. Make sure each jar seals. If jar does not seal, consume the mix in the next three days. Today we tried to Bloody Mary mix for the first time. We mixed in about a shot glass of vodka and a splash of spicy pickle juice. Perfectionist Adam said he liked them, but he still needed to work on it as he dug through the fridge for more Tobasco. I, however, thought they were great. I loved the fresh flavor. It didn’t taste watered down or too salty. The pickle juice was perfect. There was enough spice to keep it interesting. Perfect. And the Colts won! So, who knows?! Maybe this Bloody also has a splash of luck. Thanks! It was fun! Love your site. I will have to look at your rec’s before I visit Chicago later this fall! Totally! Hit us up for some recos. We have too many.